Hey everyone! Here with you all today to give a blog update and some things that are up and about in regards to the Blog. But I would like to firstly thank you all for your given interest in the blog thus far. To the hundreds of you all scattered across the globe, I am glad this is something the good many of you find interesting - I will continue to satisfy your needs in due time. This blog has blew up on various communities, especially the Russian outlets. Many there seem to be confused on this blog so today I'll give you the run down on what my blog's goals are and who owns it. Naturally I, Seon, own the rights to Sensha in all forms. This is my outlet for you, the communities of not only War Thunder... but to those interested in history. I had originally dedicated this blog to solely War Thunder news involving Japan, since thats my field of work with Gaijin. But please understand thats where the line is drawn. I am not a Gaijin employee, and this is not their website. It is mine, and mine to share with everyone my work. Gaijin does not sponsor this in any fashion... just my way of reaching out and clarifying and informing those interested with Japanese tanks. The bulk of my prior encounters with people are primarily on the War Thunder Forum and Community Center. Sensha is my way of scouting the horizon and reach new groups of people willing to learn. After talking to a friend of mine, current writer of the Overlord Blog, David Lister, he suggested to me that I not just focus on game related content. But rather to share what I know through articles. Thanks to his advice I will use this as a hub to collect and share information on Japanese tanks so you may come and read, and learn about a subject heavily forgotten and unnoticed. I wanted to get this out of the way so I can dedicate my free time to sharing what I have with you all. Hope you enjoy! 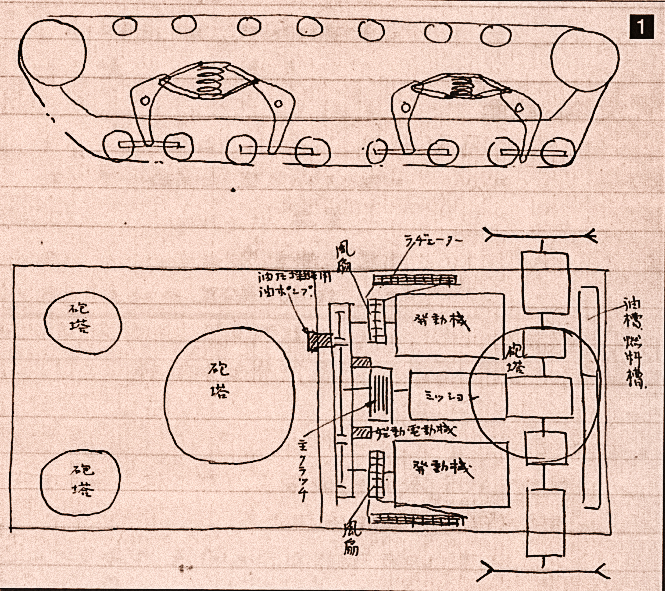 Yes, this is the original conception drawing of the O-I tank. 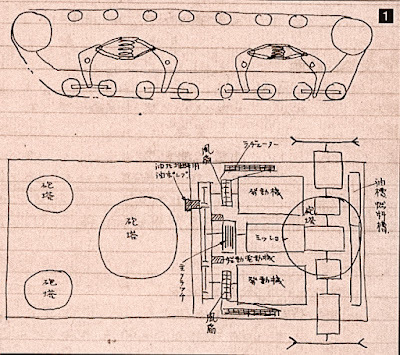 This was the birth of the box tank's history. Hidden within the documents of the tank project. So not just japanese tanks in War thunder, but all japanese tanks? Sounds promising. Btw isn't that hole a little to big for the MG turret? It's not an accurate measurement. Its just a brainstorming idea.